Obituary for Ronaldlene Starks | House of Wheat Funeral Home, Inc.
Ronaldlene “Ronnie” Starks, was born February 17, 1947 in Dayton, Ohio to the late Roy and Ruby Allen. She went home to glory, to be with her heavenly father on March 15, 2019. She is also preceded in death by her son, Roy “Darnell” McKee; granddaughter, Kamara McKee; sisters, Lemmer “Annie Roy” (Thomas) Maddox, Christine “Annette” (Thaddeus) Carter, Mary Jean (Albert) Clark, Alice Boyd, Virginia “Jill” Allen, and brother, David “Tony” Allen. She was a proud graduate of Dunbar High School, Class of 1965. Ronaldlene was also a member of Mt. Calvary Missionary Baptist Church, where she was a faithful member all of her life. 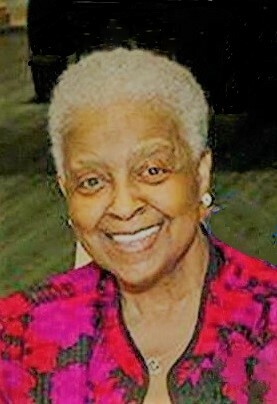 She served as a member of the Sanctuary Choir, the Bereavement Ministry, the Annabelle Mundy Circle, and the Announcement Ministry. She was a retired employee of the Montgomery County Coroner’s Office after over 30 years of service. She had also been an employee of Miami Valley Hospital, NCR, and House of Wheat Funeral Home, Inc.
Ronnie was affectionately known as “Momma”, “Mammaw”, “Auntie”, daughter, sister, and friend. Her hilarious sense of humor and her famous smile have always been able to light up any room. Her firm but also loving correction let those that she loved know that she always had their best interest at heart. When Ronnie spoke, you listened. If she asked you, you just did it. She was known for her delicious meals, her baking, and her beautiful singing voice. She always did for others and made sure that those around her felt unconditionally loved and cared for. She touched many lives and will be deeply missed by all who were blessed enough to know and experience the amazing force of nature that was Ronaldlene Starks. Ronnie leaves to cherish amazing memories, her son, Kevin (LaVonna) McKee; daughter, Faith (Henry Jr.) Watson; grandchildren, Danisha, Darion, DaMarr and DaJuan Allen, Christopher Harris, Taydren Tidwell and Khalid McKee; great-grandchildren, Kaydence, Kason and Darion Allen, Jr.; nephews and nieces, Thomas “Pat Boone” (Stephanie) Maddox, Veronica “Vicki” Maddox, Samuel (Karen) Maddox, Allen “Tank” (Yolanda) Clark, James “Jooney” Boyd, Jr., Alicia “Lisa” (Fred) Evans, Jason Carter, Sr., Tracey Carter, Antoinette Jackson, Dana (Iran) Johnson; a host of great and great-great nieces and nephews; Goddaughters, Claudia Hamlett and Nichole Wiley-Marks; Godson, Shawn Wiley; special sisters-in-love, Patricia Wiley, Charlene Hall, Michelle Woodard, Marcita Harris, Johnnie Marsh, Marna Johnson, Nellie Watson, Shurnie Winston, Debbie Watts Robinson and Della “Marie” Brooks; long-time high school friends, Teddy Johnson and Jerry Parks. Funeral service will be held 1 pm Monday, March 25, 2019 at Mt. Calvary M. B. Church, 3375 W. Siebenthaler Ave. Visitation 10 am Monday at the church until time of service. Family will receive friends one hour prior to service. Interment West Memory Gardens. Arrangements entrusted to House of Wheat Funeral Home, Inc.